The following questions were asked during the past Intersolar South America webinar "Brazilian PV market" by webinar attendees. 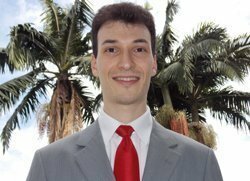 Dr. Rodrigo Lopes Sauaia is coordinator of the Task Force on Taxation of the Brazilian PV Sector Group organized by the Brazilian Electrical and Electronics Industry Association (Abinee). In this interview, he gives an overview about the Outlook, Prospects, and Challenges of the world’s sixth largest economy. There is a fast-increasing demand for energy and the climatic conditions are extremely promising. How does the electricity price for end users in Brazil compare to the rest of the world? According to official 2013 ANEEL data, electricity prices in Brazil for end users (industrial, commercial, and residential) are amongst the ten highest in the world, making electricity an expensive resource in the country. This has remained the case even after a governmental decree, later converted into law in the beginning of 2013 (Law Nº 873/2013), promoted strong reductions in electricity prices. The reason for such a high electricity price for a country using more than 70 % of its electricity from hydroelectric power plants, which usually produce relatively cheap electricity, resides mainly in one factor: taxation. Approximately 50 % of the final price paid by end users for electricity is composed of fees and obligations paid to the government. This scenario can be seen as an opportunity for the PV sector, as the high electricity prices increase end users’ interest in technologies and solutions that can reduce their electricity bills. The ANEEL R&D Program is expected to install approximately 25 MW of PV for about R$ 400 million. Why such a high price per PV system installed? ANEEL’s Strategic R&D PV Demonstration Program was developed to foster the study, characterization, and evaluation of grid-connected PV systems in Brazil, as well as to increase knowledge over the benefits and challenges that grid-connected PV would bring to the Brazilian electricity grid in coming years. Therefore, costs associated with the program are not limited to those of designing, commissioning, installing and maintaining PV systems, although these are definitely relevant activities of the program. A significant fraction of the investment is focused on R&D activities, such as setting up new PV laboratories, measuring the solar resource, comparing different PV technologies (e.g. : a-Si, CIGS, CdTe, mono-Si, multi-Si) and system architectures (e.g. : rooftop, ground-mounted, fixed tilt, tracking systems, concentrator systems), developing grid-stability studies, evaluating current barriers to the development of the technology in the country, amongst other strategic topics. The insights and conclusions obtained during the research phase of the program will serve as basis for introducing PV in the long-term planning of the Brazilian electric grid. Considering that there is enough global capacity to support Brazil, how does the government hope to attract the necessary investment to build poly, glass, cell, and module manufacturing in the country? That is an excellent question. In the recent past, the Brazilian government has managed to successfully develop a national wind industry by using wind-specific electricity auctions and putting in place local content requirements as obligations to access special financing conditions. Something very similar is expected to take place with PV in terms of large-scale projects: when solar-specific electricity auctions are issued, it is very likely that projects will be required to include some fraction of local content. This will create a specific demand for local PV products and may be a kick-start to the development of some of the upstream PV value chain, even if products are at first produced at lower volumes and, consequently, at higher prices. The process will most probably start with lower-investment factories, such as for module and inverter assembly with imported components, and may later on migrate to components and raw materials produced locally. In terms of local production of raw materials for the PV industry, such as polysilicon, low iron content glass, and solar cells, the analysis is much more complex, as this is an issue of industrial policy and long-term strategic planning. Such factories require considerable capacity and investments to be economically competitive and would only thrive with added support from the government, including demand certainty and specific subsidies such as those seen in any country where PV raw material factories are built (for instance China, USA, Germany, India, and Japan). Obtaining such support from the government is possible and the government already indicated its willingness to discuss the subject. Nevertheless, in order to successfully establish the necessary conditions for raw material production to be implemented, direct engagement of the PV community will be required, including international equipment and factory providers. Many of these providers are passively prospecting the market, but are not taking active measures to move the discussion forward with the government. On top of that, we have the issue of local demand for raw materials: since there are no local industries that actually need polysilicon as a raw material at the moment, why would anyone set-up a factory in Brazil to export all the production abroad? The solution to this last issue may be an implementation of a vertically integrated Brazilian PV industry, similarly to what was done in China. Do you see an opportunity for energy storage systems to integrate small-scale PV in Brazil? At the time being, energy storage technologies integrated with PV are only economical in off-grid applications, as there is no specific government policy or support for grid-connected energy storage systems. Therefore, differently from what we are seeing in Germany at the moment, I cannot identify any immediate opportunity for this approach in Brazil. What are the import taxes for critical components such as modules and inverters? It would take me quite some time to explain all the details of taxation related to importing PV components to Brazil, but I can give you some gross figures for modules and inverters that will help you understand the current conditions and obstacles found in the country. Due to the historical use of off-grid PV systems in Brazil, the government has granted PV modules important tax breaks that are still in effect today. Nevertheless, there are still tributes and taxes which apply to importing and commercializing PV modules in the country. When all these tributes and taxes are considered, imported PV modules suffer a price increase of approximately 28 % compared to its international price. Differently, inverters, which are usually not employed in off-grid PV applications, did not receive the same historical tax breaks that modules did. Consequently, when all tributes and taxes are accounted for, imported PV inverters surfer a price increase of approximately 81 % compared to its international price. This disparity has already been acknowledged by the government and there are different legislative projects being evaluated to further reduce the taxation burden on PV components. Nevertheless, it is essential that the PV community press for solutions in the short term, as legislative projects may take years to be approved. What is the cumulative PV capacity in Brazil and how much is being currently installed? Although there are no official figures for the off-grid PV segment, my estimation is of approximately 25 MW to 30 MW of cumulative off-grid PV capacity installed in Brazil. The off-grid market growth has been steady during the last decade, mainly due to the PRODEEM and Light for All (Luz para Todos) programs. Even after these programs are finished, which is expected to happen in 2014, there will still be some demand for off-grid PV systems, especially in the northern regions of the country, replacing or complementing the fossil fuel-based generation at remote locations that are not directly connected to the national integrated electric grid (SIN). In terms of the grid-connected PV segment, current official ANEEL figures are of approximately 2.7 MW of cumulative PV capacity, but this number is slightly outdated due to new systems that were added to the grid in 2013. I would put this figure at approximately 4.5 MW, which shows that the majority of today’s Brazilian PV capacity is still off-grid, but that the grid-connected market in growing strongly. My expectation is that the market will shift to a grid-connected majority in approximately three years, with annual growth rates for the grid-connected systems in excess of 50 % per year. Although Brazil has recently established a net-metering program, experts have pointed out that electricity taxes are being charged by the government. These taxes greatly reduce the financial benefit of net-metering. How can we solve this issue? Indeed, net-metering in Brazil is currently facing a rather negative taxation barrier that is preventing the market to properly develop as expected. The topic is crucial to the development of the micro and mini generation market segment (systems below 1 MW), the same segment that has been pointed out by this year’s webinar participants as the most promising market in the near future. Therefore, it is a very relevant issue for the development of distributed PV generation in Brazil. I will be explaining the issue and discussing possible solutions for it in detail during my presentation at Intersolar South America 2013 and would like to invite our readers to join us to better understand the issue at hand.